A being who has existed since the beginning of the universe, Dream of the Endless rules over the realm of dreams. 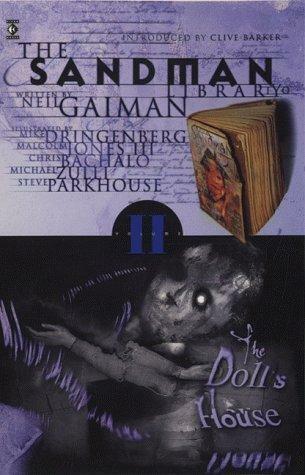 In The Doll's House, after a decades-long imprisonment, the Sandman has returned to find that a few dreams and nightmares have escaped to reality. Looking to recapture his lost possessions, Morpheus ventures to the human plane only to learn that a woman named Rose Walker has inadvertently become a dream vortex and threatens to rip apart his world. Now as Morpheus takes on the last escaped nightmare at a serial killers convention, the Lord of Dreams must mercilessly murder Rose or risk the destruction of his entire kingdom. Collecting issues #9-16, this new edition of The Doll's House features the improved production values and coloring from the Absolute Edition.